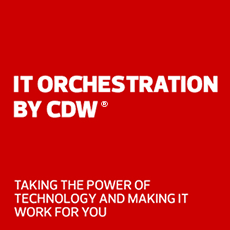 ViewSonic and CDW provide display solutions that enhance the way we connect. Founded in California in 1987, ViewSonic is a leader in display technology. Its products include LED monitors, interactive commercial displays, touch displays, projectors, thin clients, zero clients and smart displays. The ViewSonic XG Series are full HD gaming monitors featuring top-of-the-line refresh rates, lightning-fast response times and ergonomic design. The ViewSonic XG is a full HD monitor packed with all the speed and features that gaming enthusiasts need. The ViewSonic G-Sync gaming monitor is perfect for gamers who play more graphically intensive games on higher settings. ViewSonic is the display expert dedicated to commercial-grade display technology for the exacting demands of business and institutional customers. myViewBoard digital whiteboarding software combines enterprise-level security with cloud-based portability. ViewSonic ViewBoard interactive flat panel displays deliver incredible collaborative capabilities for 21st century boardrooms. The ViewSonic CDE series 4K commercial displays delivers stunning detail and imagery in nearly any environment.